How we make them [cars] is much more important than how we fuel them and whether they have a tailpipe or not. 80 to 90 percent or more of the damage, the environmental damage and the health damage that comes from cars comes from manufacturing, not from tailpipe emissions. Is this true? If so, how is this measured? What is the breakdown of this damage? 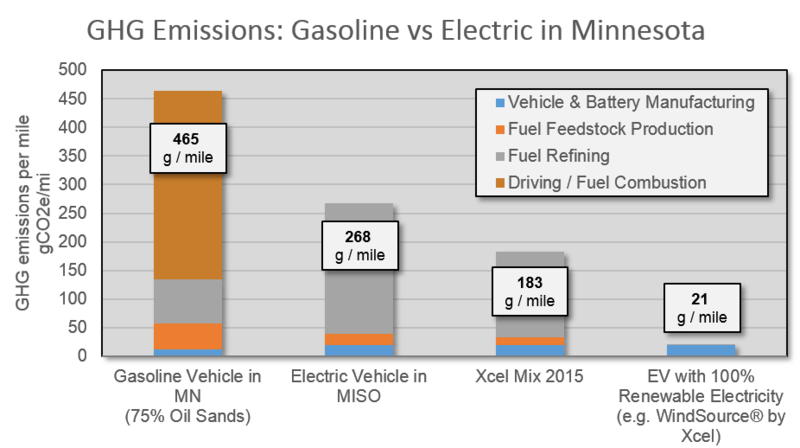 Note that for most of the other cases here, the manufacturing emissions of the vehicle are dwarfed by its tailpipe emissions. Also, electric vehicle manufacturing emissions are at least twice that of ICE vehicle manufacturing emissions mostly because of the battery, not thanks to steel smelting and moulding, like the video claims. In other words, the video you're linking is trying really hard to sell you something. First of all, the original claim compares manufacturing to "tailpipe emissions". A fully electric vehicle has no tailpipe at all. I take it the appropriate comparison is between manufacturing and overall use including e.g. emissions associated with making the electricity used by the vehicle, anything noxious emitted by the brakes or tyres while driving, etc. This has (as well as more details, which the interested reader can find there) a chart on page 21 looking at four allegedly representative vehicles ("midsize gasoline car", "full-size gasoline car", "midsize 84-mile BEV", "full-size 265-mile BEV") and showing that emissions while driving substantially outweigh emissions in manufacture for all four. (By about 2:1 for the electric vehicles, and more like 10:1 for the internal-combustion ones.) The text on the same page doesn't give actual figures for manufacturing emissions, but those figures can be estimated from what they do say; they range from about 7 tonnes of CO2 for a midsize gasoline car to about 15 for a full-size electric car. By way of a sanity check, here is an article by Bjorn Lomborg, whose biases may reasonably be guessed to be the opposite of the UCS's. The study he chooses to cite gives figures of "14000 pounds" of CO2 emissions for making a conventional car and "30000 pounds" for an electric one; that is, about 6.4 and 13.6 tonnes of CO2 respectively. "Even if the electric car is driven for 90,000 miles and the owner stays away from coal-powered electricity, the car will cause just 24% less carbon-dioxide emission than its gas-powered cousin. This is a far cry from "zero emissions." Over its entire lifetime, the electric car will be responsible for 8.7 tons of carbon dioxide less than the average conventional car. This implies lifetime driving emissions of the "average conventional car" of 8.7/0.24~=36 tonnes of CO2. Lomborg references an article in the Journal of Industrial Ecology, titled "Comparative Environmental Life Cycle Assessment of Conventional and Electric Vehicles". It has the advantage of looking at a variety of classes of environmental impact. The article had a later corrigendum: the original article was too pessimistic about electric vehicles. The findings are summarized in this chart -- that's the version in the corrigendum -- showing estimates of ten different kinds of impact for six classes of vehicle, broken down according to lifecycle phase. There are other cases in which most (though not 80% or more) of the damage occurs in manufacture: FETP (freshwater eco-toxicity) for all classes of vehicle, TAP (terrestrial acidification) for some classes, FEP (freshwater eutrophication) for some classes, and HTP (human toxicity) for all classes. So far as I can see, this article says nothing about how severe these classes of damage are compared to one another. For instance, the increase in "human toxicity potential" associated with electric vehicles is dominated by copper and nickel in mining waste. So far as I know, the actual health impact of these is pretty small. The claim as originally cited seems clearly false in so far as it's meaningful at all. For most kinds of car and most kinds of environmental damage, driving the car does more damage than making it. If you take "damage" to mean specifically metal depletion, then the claim is true but boring, because running a vehicle doesn't involve mining metals. If you take it to mean certain other classes of pollution, it is probably true for some kinds of pollution under unrealistic assumptions about how electricity is generated. Not the answer you're looking for? Browse other questions tagged environmental-health road-vehicles environment manufacturing . Does a start-stop system for a combustion engine pay off? Did Volkswagen, Chrysler and/or GM cut diesel tailpipe emissions by ~99% over a decade? Can all new gasoline vehicles run on E85 ethanol-based fuel?